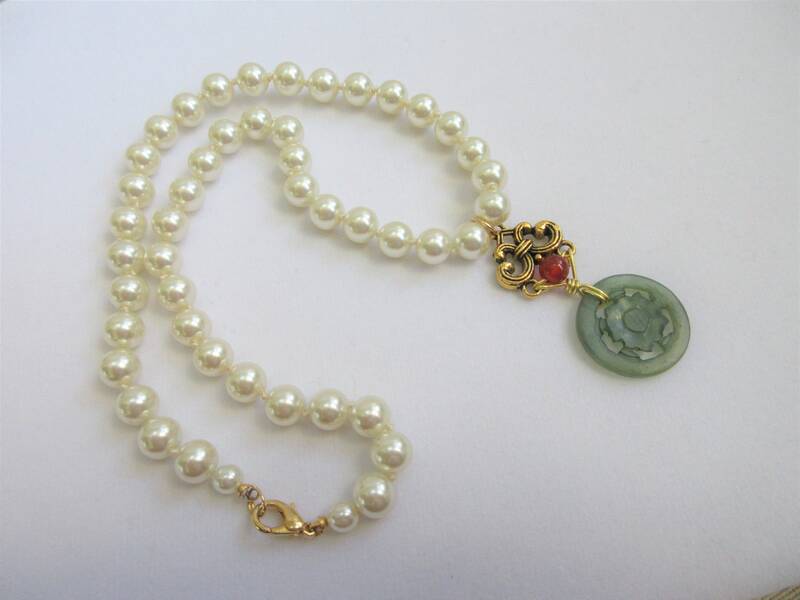 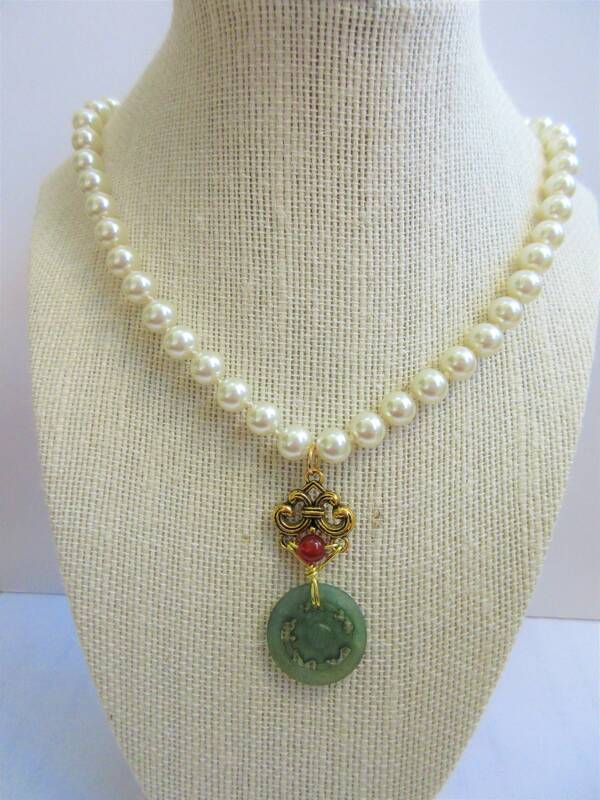 White pearl necklace, 18" long hand tied glass 9 mm pearls,Antique carved jade coin, hand wired onto connector w/Carnelian Bead,gold lobster claw closure. 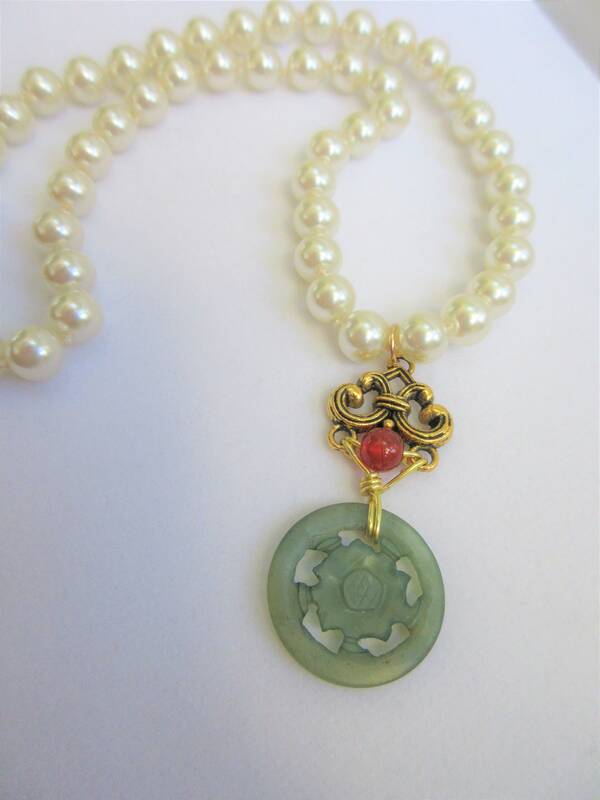 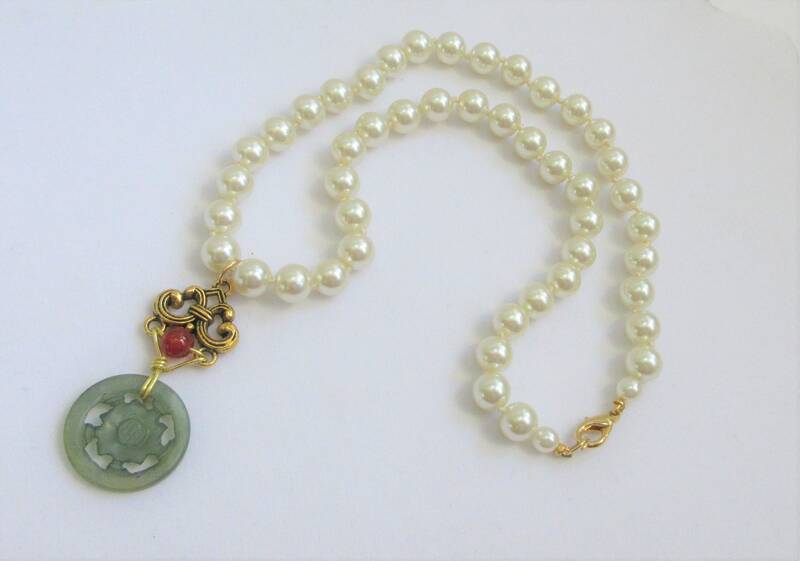 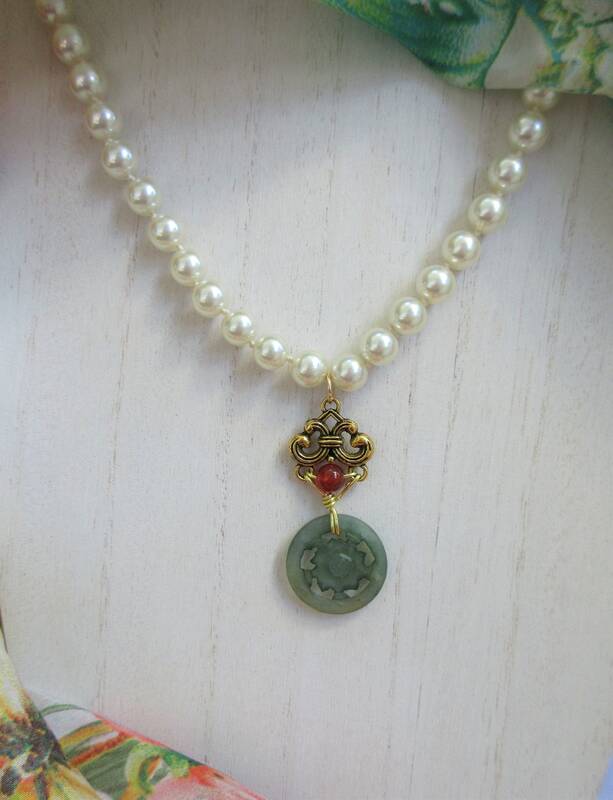 This antique Asian jade 12mm coin was handcarved with flower in center. 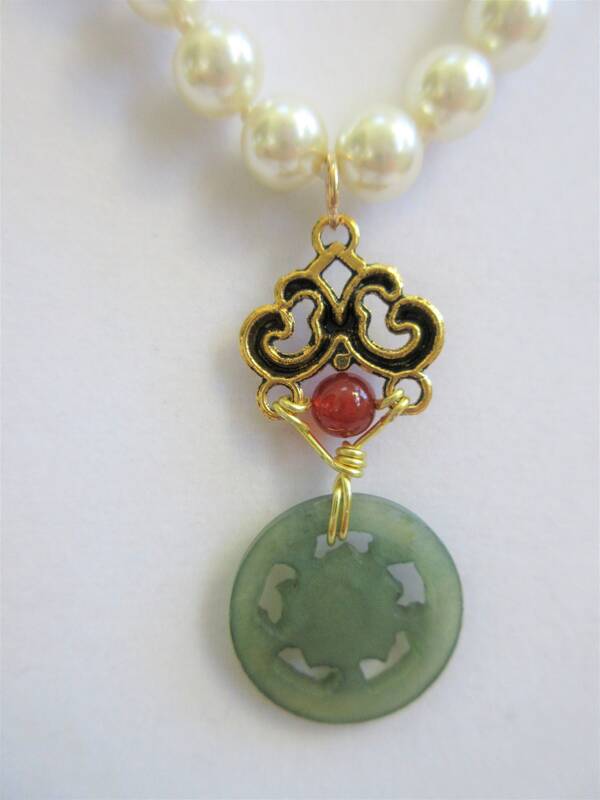 I handwired it with gold plated wire and a genuine 8 mm carnelian bead. 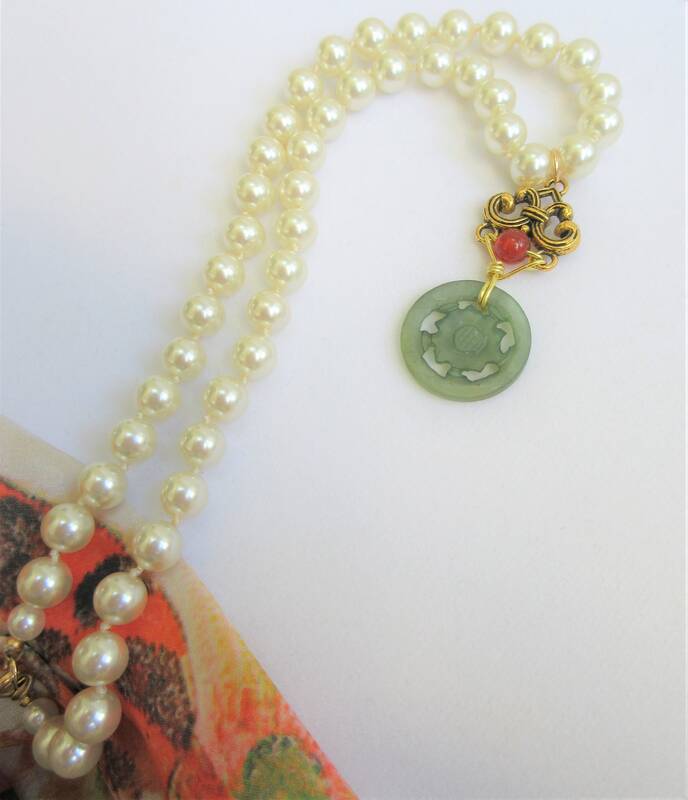 I love pairing these items together for a very sophisticated one of kind piece. 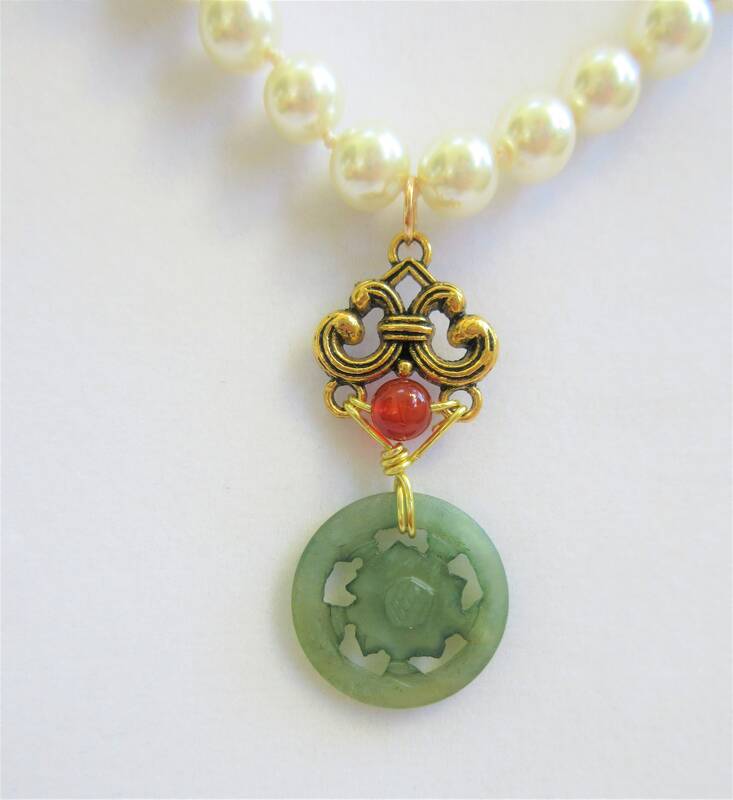 Quality repurposed materials produce a new heirloom for your jewelry box. 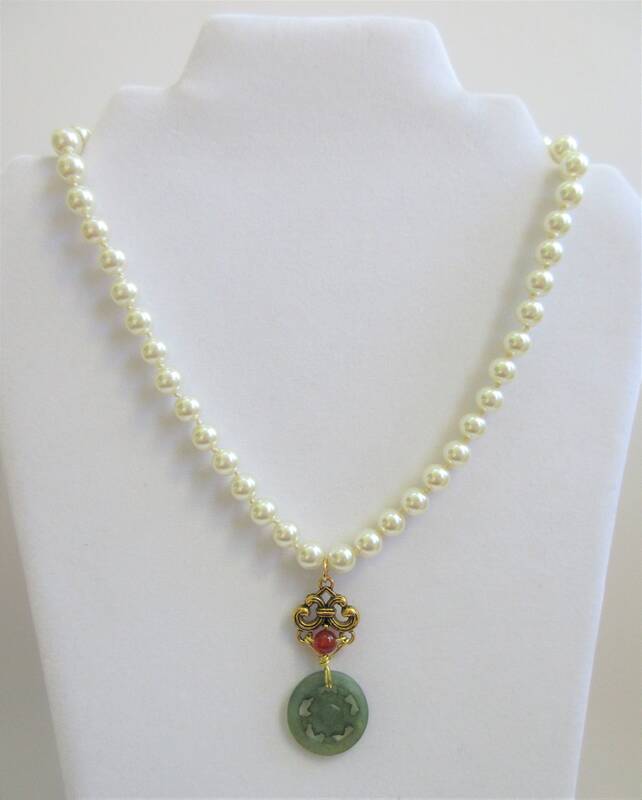 18" was the perfect length in the midcentury, and is perfect with a 2 inch accent pendant today.